Ac Milan veteran midfielder, Clarence Seedorf, will be one of the few Rossoneri players that have their contract set to end this summer and considering his age, many rumors suggested that the Dutchman will be let go by Milan as part of their rejuvenation program. Acknowledging that possibility, reports from Brazil revealed that Seedorf might be on his way in playing in the country as Corinthians reportedly become the club that showed real interest on the former Real Madrid midfielder. Already reaching the age of 35, Seedorf acknowledge that his years in Milan wont be long even if he decided to stay with the club, not to mention the playing time that the Dutchman will earn shouldn’t be much especially if the Rossoneri does brought in new younger players in the summer. Considering the fact that the ex-Inter Milan player has always been planing to spend some time tasting the Brazilian league, the approach from Corinthians might actually knocked a jackpot in the summer. Corinthians reportedly have already made their move in tempting Seedorf in the past weekend as rumors stated that former Brazilian superstar, who has just retired from the Brazil club, Ronaldo, arrived in Milan recently and working in persuading his former colleague. Should the interest from Corinthians are serious, than the chance that the Dutch player leaving San Siro in the summer looks very possible indeed. 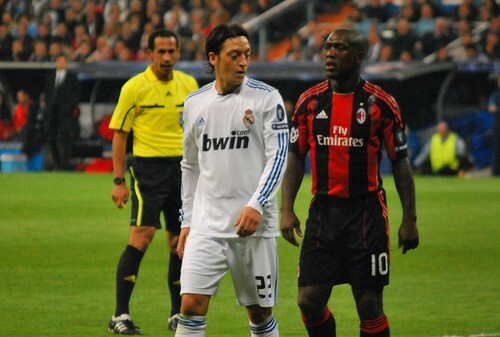 Recently, Seedorf has actually been performing quite well, especially in the last Derby match, where the player became one of the key players that helped Milan dominated their arch rival at San Siro. However, the fact that the player has already reached the end of his career and also the club’s plan in clearing up their squad in the summer, the 35-years-old player might take the option to play outside of Milanello just to play football with less pressure and more playing time.